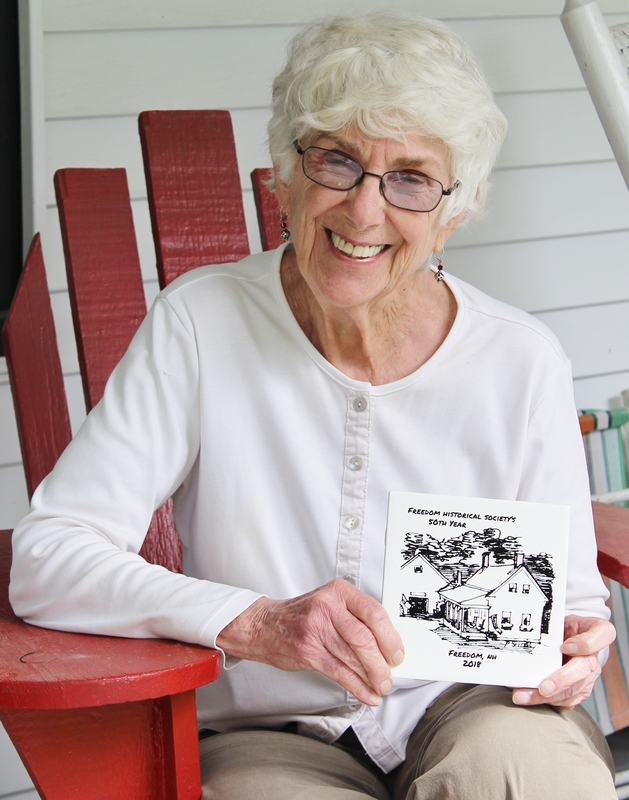 In 2016 the Freedom Old Home Week committee took over production of tiles, and proceeds from tile sales go towards the running of various family-oriented Freedom Old Home Week events. Peg Scully is an almost life-time painter whose painting has been in large part inspired by the landscape, light, history, places and people of Freedom and the surrounding area. The subjects of some of her oil paintings, watercolors, and drawings, whether they’re produced on paper, canvas, tiles, notecards, or T-shirts, provide a record, though unplanned, of places which may no longer be here or which have changed. The same is true of her portraits. It is hoped that her work reflects the joy Peg has in painting these people and places. For 20 years, Peg maintained a gallery in her home. Although it is closed now, you can see or commission work by appointment. Her art can also be seen at the Freedom Village Store, in the Art Works Gallery in Chocorua, NH, or in the The Freedom Gallery. Peg is a Signature Member of the New England Watercolor Society.